A monthly religious periodical serving the Baptists of Montgomeryshire and Radnorshire. The periodical's main contents were religious articles, denominational news and serial stories. 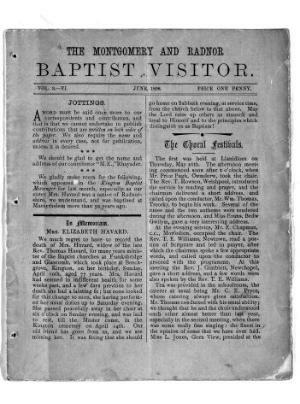 The Baptist Visitor was included as an inset to the periodical. Amongst the periodical’s editors were J. Griffiths, John G. Andrews and W. G. Mansfield. Associated titles: The Baptist Visitor (1881).